Lease Equity Pty Ltd have been appointed as exclusive agents to sell 14 Bay View Terrace, Claremont by way of Offers Invited. Bay View Terrace Claremont is renown for its high-end fashion, restaurants, bars and Cafés and is one of the most prestigious suburban retail strips in Perth. 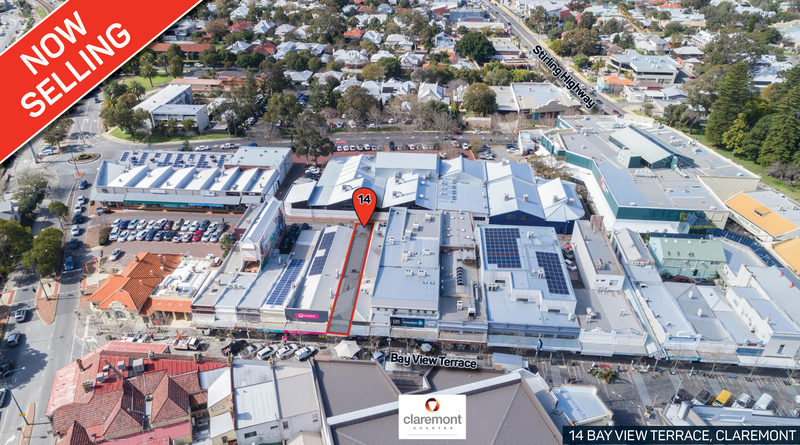 14 Bay View Terrace is a freehold single level strip shop located in the prestigious suburb of Claremont. The property is situated in the heart of the Bay View Terrace shopping strip, boasting exceptional high exposure location, directly opposite the renowned Claremont Hotel and Entrance to the Claremont Quarter. Considered to be Perth’s premier suburban retail strip destination, the precinct boasts some of Australia’s best retailers including David Jones, Coles, Rebel Sport, JB Hi-Fi, Westpac, Commonwealth Bank, Bunnings, Zomp, Kookai, Morel, Marie Claire, Oroton, Koko Black, and many more. The property is being offered for sale on a vacant possession basis which enables a buyer to reposition the asset to include the construction of an additional level and/or activate Walt Drabble Lane at the rear. Mr. Pavlos said “the property has a ‘Town Centre’ zoning which allows for a multitude of uses including retail, office, entertainment and more”. Mr. Pavlos said “the precinct is one of, if not the most, tightly held suburban retail strips in Perth. Sales along the strip are extremely rare and highly sought-after”. “We are expecting the property to generate a lot of interest in the market. Current cash and bond rates at record lows so there are a lot of buyers looking to invest money into blue chip assets which will provide long term growth”. 14 Bay View Terrace, Claremont is for sale by way of Offers Invited.